It’s not a mystery that the Affordable Care Act (ACA) is complex. Since its passage in 2010, the landscape of the healthcare industry and marketplace has changed in many ways. A big piece of the ACA’s structural integrity relies on the expansion of Medicaid. Currently, 33 states and the District of Columbia have taken advantage of the ACA regulations that allow them to expand Medicaid to individuals with up to 138% of the federal poverty level (FPL) to have an opportunity to enroll in Medicaid. As the public support remains strong for continuing the ACA, more states are looking at Medicaid expansion. The Virginia state legislature recently voted to expand Medicaid coverage in the state, starting January 1, 2019. Now Idaho, Nebraska, New Hampshire, North Carolina, and Utah also are considering Medicaid expansion policies, with many of these initiatives being driven by public support. Individual activism is driving the interest in Medicaid expansion in this state. Led by political activists, signatures are being collected in hopes of having the expansion of Medicaid included on the November ballot. Over 60,000 votes were collected and are currently being reviewed for legitimacy before finalizing the issue as a topic to be decided come November. In a similar approach as Idaho, Nebraska may expand Medicaid as a result of individual initiative. In order to make the November ballot, a total of 85,000 signatures will need to be collected by July 5. The initiative faces serious opposition from current Governor Pete Ricketts. The New Hampshire Premium Assistance Program, a program that already incorporates Medicaid expansion, is set to expire at the end of fiscal year 2018. Following the program’s completion, recently approved Bill SB313, if signed into law, will implement the New Hampshire Granite Advantage Health Care Program. The program will “allow individuals eligible to receive benefits under the Medicaid program and newly eligible adults the opportunity to choose coverage offered by one of the managed care organizations contracted as vendors under the Medicaid program.” The program is contingent upon an individual’s income, which cannot exceed 138% of the federal poverty level (FPL). An amendment to the Carolina Cares program has proposed that Medicaid coverage be expanded to residents that are not currently eligible for Medicaid, have an income that doesn’t exceed 133% of the FPL, are not entitled to Medicare part A or B, and are between the ages of 19 and 64. Residents will have to pay 2% of their household income to participate in this program, if approved. On March 27, 2018, the governor signed into law expanding Medicaid to at or below 100% of the FPL. As of May 29, Utah’s Lieutenant Governor announced that enough signatures had been collected to include expanding Medicaid to 138% of the FPL as a voting matter to be determined during the November ballot. While these states are considering Medicaid expansion, it sends a message about the overall public support for the ACA. States want more medical coverage available to their residents. Whether it be provided on a state level, federal level, or by an employer, health coverage is in demand by American citizens. If employers thought the ACA was going away, the evidence and public sentiment seems to point in the opposite direction. While the ACA remains in place, the responsibilities under the employer mandate will continued to be enforced. And the ACA employer mandate is being enforced by the IRS. 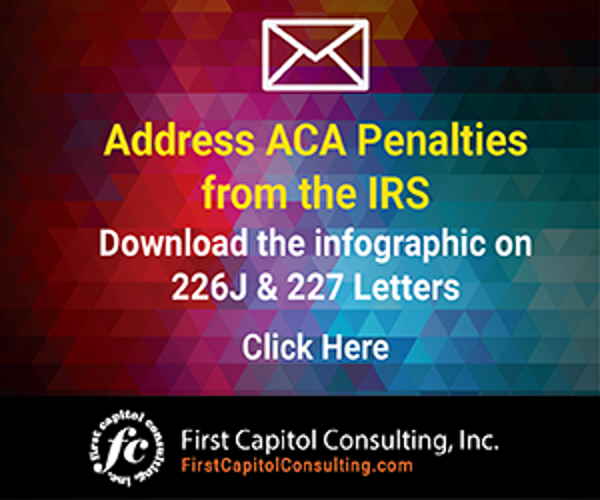 The tax agency is issuing ACA penalty assessments in Letter 226J, which is being sent to employers the agency has determined did not comply with the ACA in 2015. 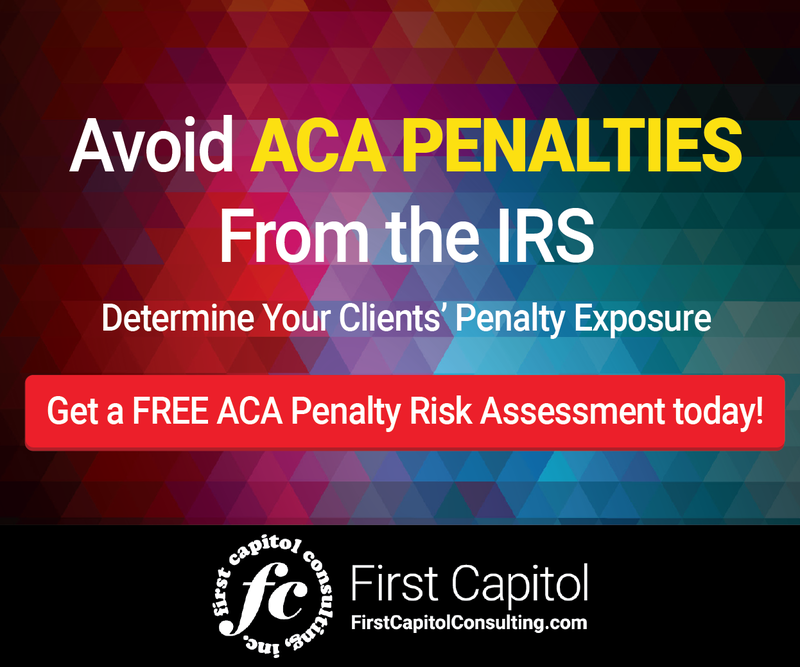 To date, more than 30,000 penalty notices have been issued representing penalty assessments of $4.4 billion. If your organization has received Letter 226J, see the infographic below on how to respond. More states are considering the expansion of Medicaid, indicating their recognition that the public has warmed to the healthcare protections offered by the Affordable Care Act.